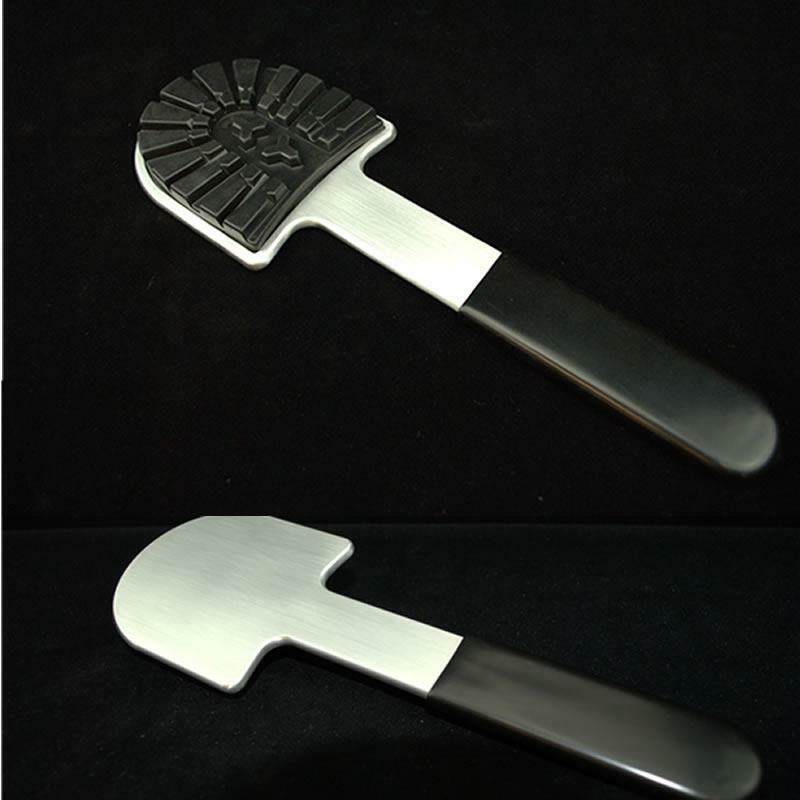 Be absolutely impossible to ignore with the Three Layer Slapper! Be absolutely impossible to ignore with the Three Layer Slapper! 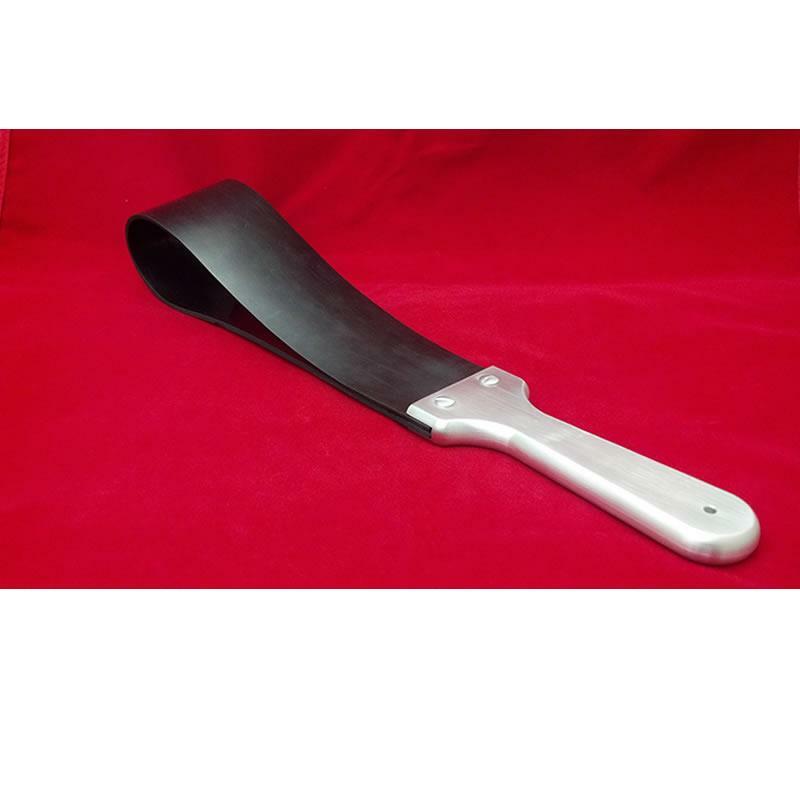 This multi-layered spanking tool is a superior impact toy, made of high quality leather and sturdily built for the most intense spanking play. 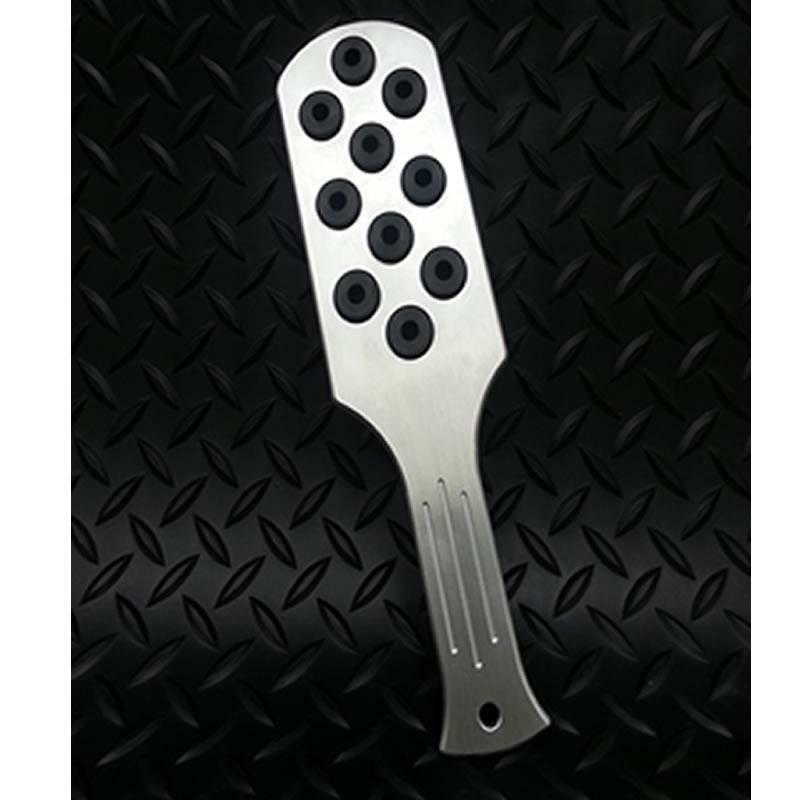 The paddle features a handle that is sized for a good, firm grip and is set with gleaming silver studs. The three separate layers impact with a loud and satisfying SNAP of sound with each swing that is sure to get the attention of anyone.